If you have updated to iOS 11 and regularly used the default Podcasts app in iOS 10, one thing you’ll notice is how bad the new Podcasts app is compared to the previous one in iOS 10. For some users, it appears that those in charge of developing the Podcasts app at Apple don’t even use the app themselves. Personally, one annoying aspect of the new Podcasts app is that you cannot longer mark an episode as played, which is something I regularly did to keep myself away from listening episodes that I had already listened to. Another issue, although not a big one, is that the Sleep Time location was replaced with the broadcast option and now you have to scroll down to adjust the Sleep Timer. Overcast is one of the top podcasts app. It’s a podcast app developed by famous iPhone software developer Marco Arment. Unlike the default Apple Podcasts app, Overcast has a simple, intuitive interface with even more features. 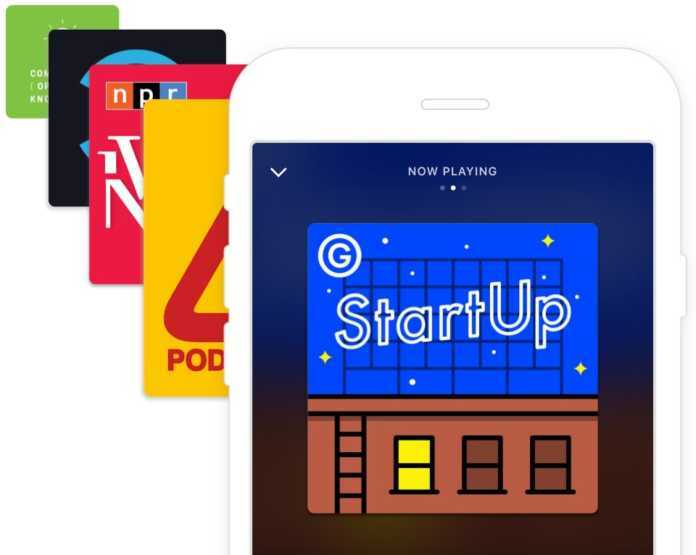 The app lets you download any podcasts to play it offline without internet access. The app also allows you to “download podcasts over cellular, set a sleep timer, or use Voice Boost to enhance and normalize speech volume.” 3D Touch is another supported feature along with CarPlay and Apple Watch support. Overcast is available on the App Store for free. You can upgrade to the premium version which removes ads for $9.99 USD per year. Another simple podcasts app is Castro 2, developed by Supertop. 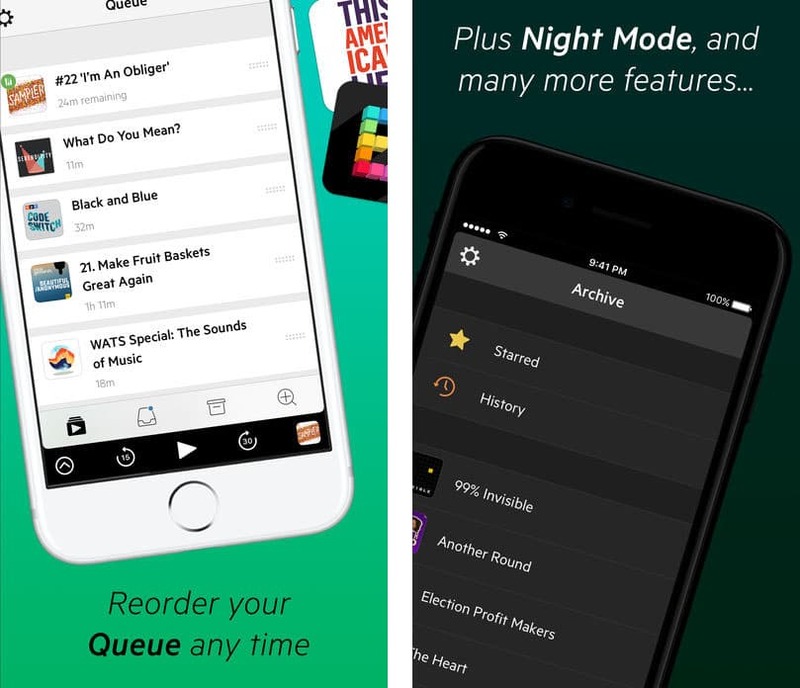 The developer behind Castro 2 describes their app as “an app for today’s broad-minded podcast enthusiast.” Castro 2 is one of the few apps that offers night mode. New podcasts are scanned on their backend server so your device will not suffer from battery life scanning for new episodes, or even wasting your data to do this task. These are just some of the few features the app offers, the app actually offers a ton of us usable features. Castro 2 is available on the App Store for iOS 10.3 or later on iPhone, iPad, and iPod touch at a price of $3.99. Downcast, as described by its developer, is “A very cool podcast player for iOS, Mac, Apple Watch, and CarPlay.” Downcast is one of the best Podcasts app you can pay for. 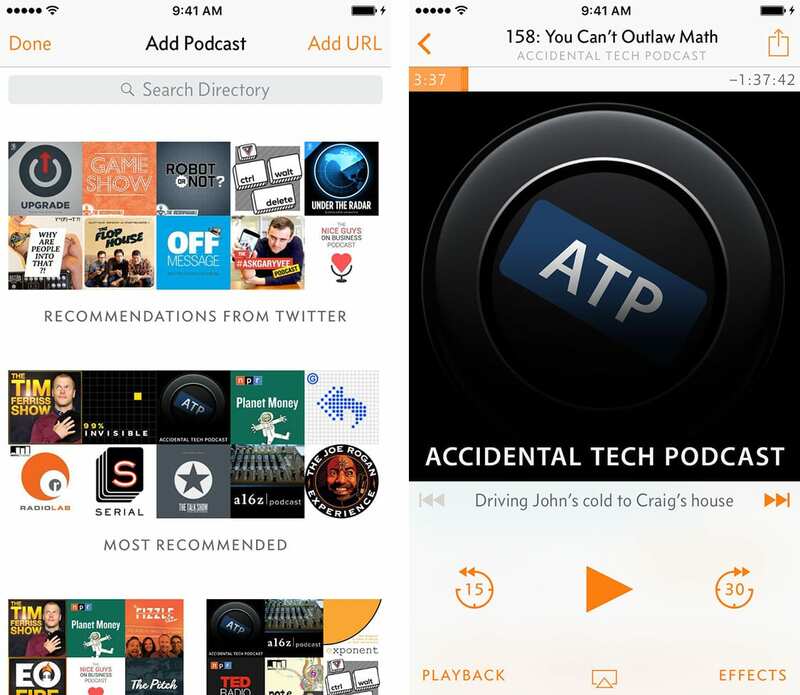 The app syncs your podcasts with other iOS devices and Mac. It syncs your podcast subscriptions, playlists, settings, and episode information across all Apple devices including the Apple Watch. Within the app, you can manually subscribe to podcasts via URL. The app also lets you browse and download old podcast episodes of any time. It also gives you the option of importing and exporting podcast feeds via OPML. Downcast can be downloaded on iPhone, iPad, and Apple Watch for $2.99. 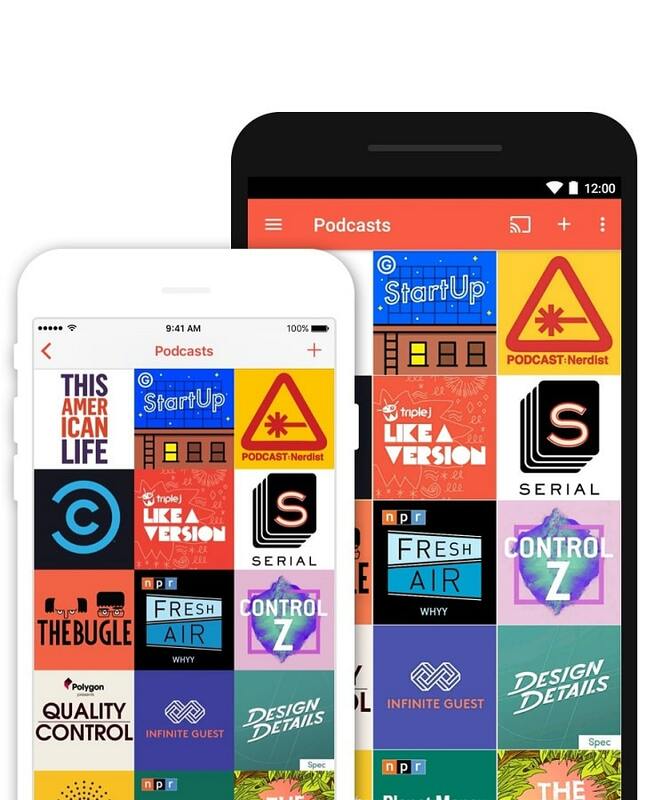 One of the most-well designed podcast app you’ll find on the App Store is Pocket Casts. The app has many features such as playback speed, trim silence, and volume boost. You’re able to change the play speed of any podcast. The trim silence is a unique feature that cuts silence moments from episodes without having an effect on the natural pace of the episode. This will save you a lot of time. The app also make each episodes sound better by reducing their background noises. And like Downcast, this app lets you sync all of your podcasts information including subscriptions, filters and episode progress across any device. Pocket Casts is available on the App Store for $3.99.